The next step up from Jac’s S17 kit, the new S22 combines the same ease of use as the S17 but with more power and a longer lasting battery. Ideal for beginners, you can also get a high end experience with a simple change of components. From it's quick and simple top fill to its one button operation, the Jac S22 is designed for ease of use. Perhaps explaining why it was featured by Public Health England in their Stop Smoking Campaign for New Year 2018! The Jac Vapour can provide the same draw and resistance as a regular cigarette, making it ideal for people who have just switched from cigarettes to e-cigarettes. But what about when you want to move to the next level? 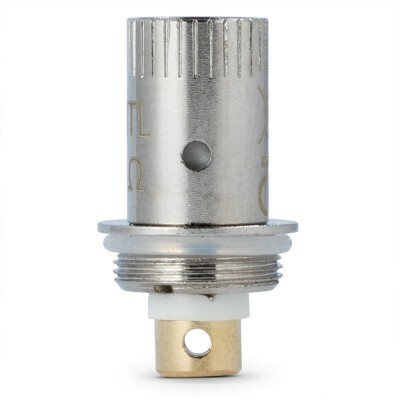 Simply switch the coil (the heating element in the tank) to get a lighter draw and more vapour. The S22 is compact, fitting neatly into your hand. But that doesn’t mean power has been sacrificed! The 2600 mAh battery is designed to last you all day without needing a charge - and can even last up to two days - ideal for travelling! The steel alloy construction of the body with its rubber finish mean this device will withstand everyday knocks without impacting the performance of your device. The Jac S22 comes with the same great warranty from ECD (3 months on battery, six months on tank excluding coil, one year on charger) with an additional 3 months on the battery available direct from Jac Vapour.